We are working on creating a play space (where I teach) that is more natural and encourages healthy risk taking. Right now, there are no climbing structures and I often find the children attempting to scale the play houses and/or stand on the table outside. 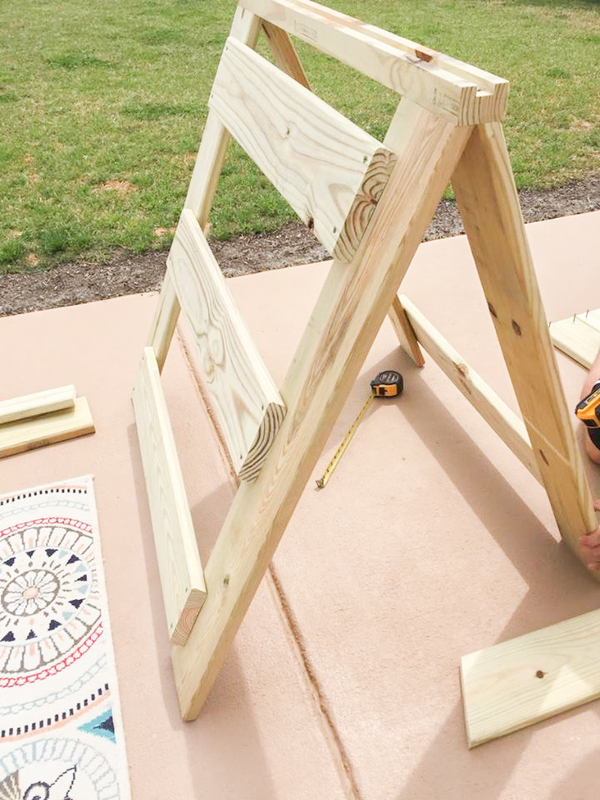 My husband was given some scrap wood and I asked him to build a small A-frame climber for the children at our preschool. 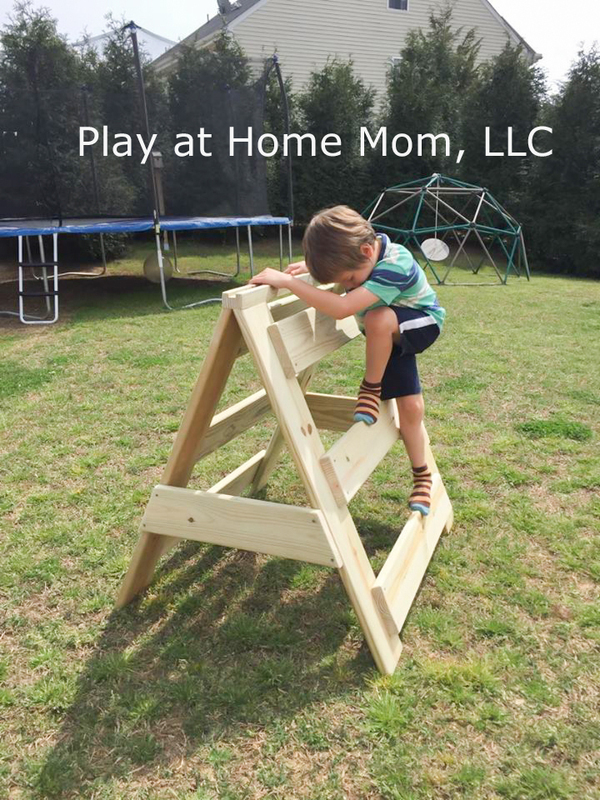 MATERIALS - wood (1 inch thick, 6 inches wide…..length varies on how big and wide you want your climber), 2 inch wood screws, one 2×2 piece of wood for the top, and a drill. Your climber will vary in size. 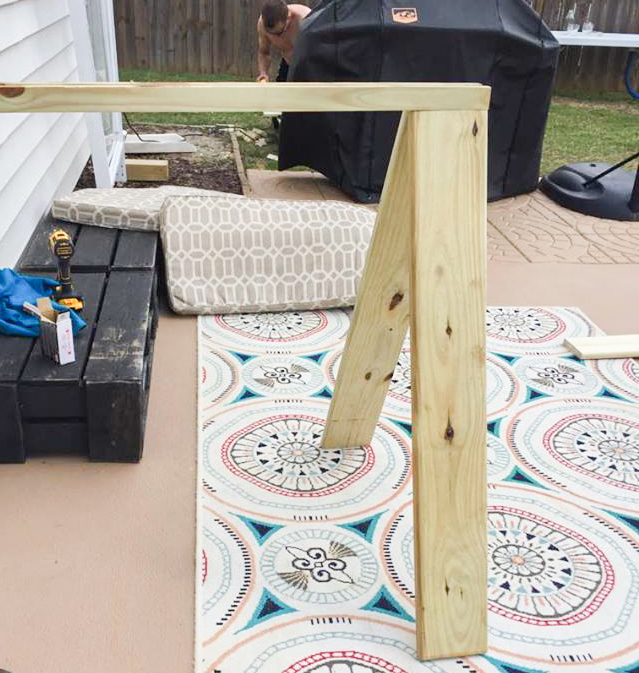 First, he attached the 2×2 board to the top of the legs using wood screws. All done and “too easy” for the seven year old. Just wondering if this would be tippy? Love this idea for my kids but was wondering if the base should be wider or if it’s good as shown in the picture? (I’m assuming so since you’re posting pictures of it, just want to be sure before I have my dad build one).